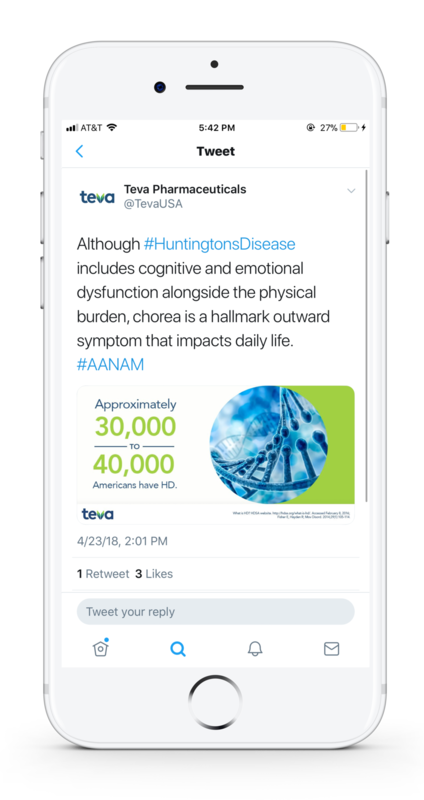 Teva Pharmaceuticals presented data on Neurology at the AAN 2018 Annual Meeting. 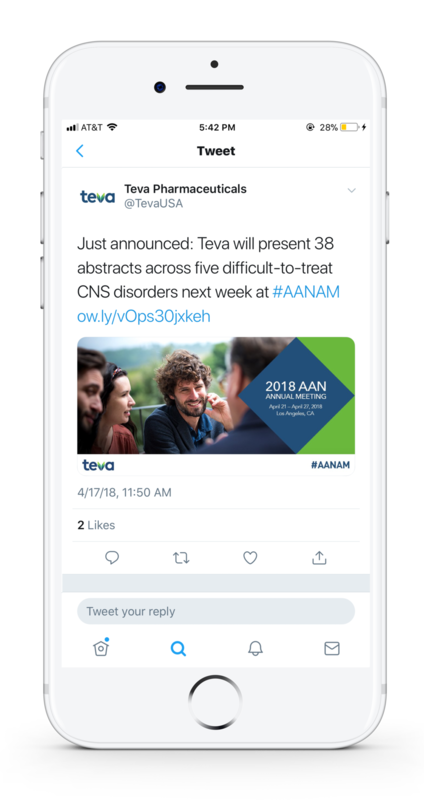 The goal was to communicate their presence on their corporate LinkedIn, Twitter and Facebook channels. I was tasked with communicating this through their brand guidelines from concept to execution. I also art directed a freelance motion graphics designer to execute an animation based on my storyboards.